Saints & Sinners is an American 60 minute scripted drama television series, which kicked off on March 6, 2016, on BOUNCE TV and is broadcast every Sunday at 21:00. The show is currently in its 3th season. 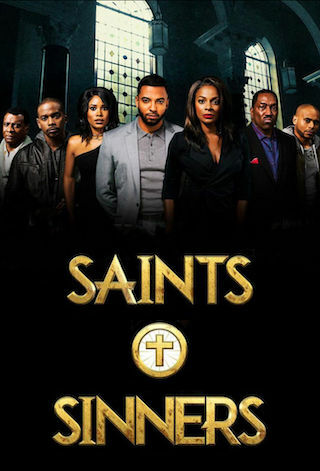 BOUNCE TV is yet to announce the renewal of Saints & Sinners for Season 4 as well as its cancelation. Sign up to track down the show's status and its release date. Greater Hope Baptist Church is the heartbeat of Cypress, GA a southern town outside Atlanta which evolved into a city over the years. The church began as a 10-member congregation when the Civil Rights Movement was at its height and being young, black and alone at night was a hazard of circumstance. As times changed, the congregation grew and so did its influence in Cypress. When a violent murder rocks the community, the church that holds the secrets of the entire town is at risk of imploding. For it seems at Greater Hope, only God and the Devil can tell the difference between a saint and a sinner.